Bay Area Commercial Real Estate Blog | your place to find up-to-date information and breaking topics from various sources including news outlets, online publications, inside deal makers and first-hand accounts. San Francisco, one way or another, has managed to keep several major growth technology companies in the city for several years to come. It’s no longer just a hot spot for the up and comers and fledgling companies. This is a destination city, heck, call San Francisco a headquarter city! Zynga revived a development that had long sat vacant in Showplace Square. The biggest deal in 5 years when they signed. Salesforce put their stake in the ground in Mission Bay, set to build their global headquarters in the storied and somewhat troubled development in Mission Bay. Add 5,000 workers to stay in the city and a huge lift to the Mission Bay. Now Twitter is one step closer to reviving a large development at 1355 Market Street, and an entire submarket may benefit in the process. The Civic Center now won’t just be home to lawyers, judges, city gov employees and a generous sampling of SF’s more eclectic denizens. Twitter and its ostensible followers (so wish all the building owners and city officials) may just be the catalyst to revive another run down SF market. Cheers to the city for getting this done. Hopefully the tax breaks won’t end with the big guns. The city is thriving because of the huge number of startups setting up shop here, and the more loyalty these founding teams have for the city, the more likely they will want to revive a market when their time comes. All the cards are all showing, Twitter’s bluff to exit SF has been revealed and they soon will be collecting their chips. Their “chips” will come in the form of tax breaks from the city of San Francisco for every new employee they hire for the next 6 years. I added an excerpt from the Economic Impact Report for the proposed tax incentives for the Mid-Market. The map identities the area and buildings within this proposed zone. San Francisco already offers Enterprise Tax Zones for companies which many of our clients capitalize on, but this new plan has been enacted specifically for Twitter, begging the question if this will breed pride or resentment. And will it work? 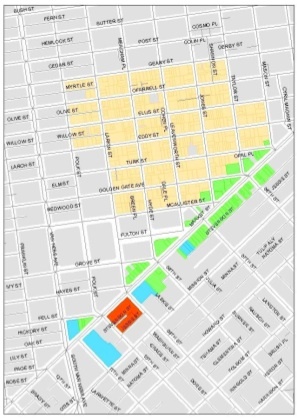 Will this plan be the catalyst to bring economic vitality to the Central Market Tenderloin Area? The good part about this deal is that Twitter will be staying in San Francisco, Shorenstein, one of San Francisco’s oldest landlords, played a big part to make the deal happen, and the Civic Center and Tenderloin may be get a much-needed economic shot of life. While this could create animosity for the many startups who won’t benefit directly from these tax incentives, Twitter is a good tenant to have around and grow their roots. This deal is far from being signed on the dotted line, but now that the cards are shown on both sides and no jokers were played, the city will most likely concede. The full report is Scribd below. On the heels of Steve Jobs’ courageous appearance today at Engadget in San Francisco to announce the new iPad2, the epitome of innovation, I am excited to announce my two-year anniversary at Cushman & Wakefield and my own innovative approach to commercial real estate. No, I’m not comparing my career to that of Steve Jobs’ (maybe one day! ), but rather to the passion around true innovation that embodies our markets and spans our industries. There is no place like the Bay Area, where innovation is top of mind with leaders and the aspiring alike. The technology and media sector has defined a generation, not just an industry. The resurgence of the economy has been largely attributed to the entrepreneurs starting new companies, angel investors and venture capitals injecting capital and fast-growing companies like Salesforce, Facebook and Twitter adding jobs. I center my business on facilitating this growth with creative workspaces and leading technologies. As blogging and social media becomes the preeminent medium to share information, I have been fortunate to contribute to prolific publications and technology communities including VentureBeat, Silicon Valley Watcher, SF New Tech and the Bay Area Commercial Real Estate Blog. In commercial real estate, the job does not begin and end with finding an office and negotiating a lease. To truly understand clients and their goals, I have embraced their own products, whether it be an application or a social media network. That’s the fun part of the business! Our team has worked with some of the leading companies in the world including Broadcom, Thomson Reuters, Hearst Corporation and AKQA, but, just as importantly, has opened the first office for many exciting startups. I want to thank all the great clients and connections I have made in the past two years, and particularly my teammates, for their continued mentorship and unmatched knowledge and experience in the business. Our team is ready for an exciting year as the technology and media sectors continue to grow and innovate. I am excited to contribute to the SF New Tech community. My first blog post went up today, and I look forward to many more to come. Coworking is a very pertinent topic, as this community is a lean startup community, and coworking has been instrumental in fostering growth, collaboration and innovation. Here is the post on the SF New Tech website, and I also re-posted it here. Please feel free to comment on my blog or visit Myles and the team at sfnewtech.com. If the Bay Area economy was akin to a baseball game, the technology and startup entrepreneurs are wearing their rally caps and driving in the jobs. As the startup industry grows, led by founders and powered by angel and venture funding, community has become the glue to hold it all together. Whether it’s a high-profile departure from Facebook or a graduate from MIT, there is a lot on the line in starting a company, and there is tremendous value in surrounding yourself with others who have the same passion and work ethic. Founders are joining coworking spaces and venture-backed incubators, sharing offices with larger companies, or leasing office space. There are myriad ways to establish your company’s headquarters, but the common denominator to opening an office is community. At the GigaOM Net:Work Conference in Mission Bay, we held a coworking workshop in which leaders in coworking discussed the new phenomenon. Julian Nachtigal, the mind behind pariSoma which quintupled in size in San Francisco’s SoMa district, and Jeremy Neuner, CEO of Nextspace with two locations in SF and Santa Cruz. The message was clear: co-working thrives around community, where entrepreneurs can share best practices, network with various industry professionals and rent a desk to plug a computer in and get to work. If you don’t know what a co-working space is, read this Quora thread. 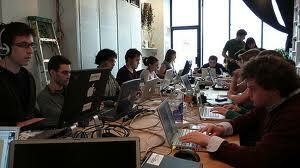 “Coworking got a jumpstart during the economic crisis and crisis equals opportunity. Lean startups of 2-6 people with early stage seed funding can’t afford to have their own office, and we offer them a solution,” says Julian. Coworking spaces in SF are growing at rapid paces, with The Hub at the San Francisco Chronicle Building expanding (See San Francisco Chronicle story), SOMA Central taking more space at 153 Townsend, and Rocket Space opened a large 50,000 square feet in SoMa to fit 500 people geared to later stage startups. See my blog post on the launch of RocketSpace. “Community is the biggest part. People by nature are social. At coworking, entrepreneurs prove their product, raise funding, then choose when to scale and branch out to larger office space. But the community that was started at places like pariSoma lives on,” Julian explains. Entrepreneurs may leave the co-working, but the coworking certainly doesn’t leave the entrepreneur. Coworking works in tandem with the office market. “My dream would be to have every person working at ﻿NextSpace﻿ start an office of their own and grow to be the next Facebook.” Says Jeremy Neuner. “The trend bodes well for the city because small businesses are expected to contribute significant numbers of jobs in the current economic recovery.” See the full SF Business Times article on coworking, “Tech startups dare to share”. Owen Thomas, Editor of VentureBeat, tweeted to me the other day, “Silicon Valley used to be about cheap office parks. Now it’s about gathering brains, shortening commutes, and providing for play.” Entrepreneurs are seeking out community in an office space just as they do at a coworking space. Community is the main reason South of Market and Palo Alto have become the epicenter for startups. The vacancy in Palo Alto hovers around 5%. Similarly, vacancy in South of Market shrinks every quarter and rates have grown to $40 per RSF at the high end. In my article on VentureBeat, I show the tremendous activity going on in SoMa and Palo Alto despite the rising rates. Companies like Twilio have opened their own office, but did not isolate themselves in the process. They shared the office with another startup in the beginning, and they have used their office to give back to the community. Take a look at the pictures from the SF New Tech Holiday Party, hosted by none other than Jeff Lawson and the whole Twilio gang at their headquarters on Folsom street. My client, Thumbtack, a leading marketplace for local services, opened a beautiful office this month in South of Market and wants to encourage groups to work from their space. They have a full kitchen, open layout, loft space and a cook that visits their office two times a day to cook them meals. They certainly will have a great community within their own office! Check out their ad! 2011 is ripe for another tech boom, and the lean startup method with smaller starting offices and coworking spaces will make it sustainable. The Bay Area is on the verge of an exciting year, and more lights will be burning late in coworking spaces and startup offices alike. We are having a Coworking Unconference event to start SXSW in Austin Texas as well! So if you are planning on going to SXSW, sign up and join the conversation and the movement! Finding office space may not be the sexiest aspect of starting or running a company, but choosing space where you’re close to the people and firms you want to collaborate with and where you can find the kind of talent you want to hire is critical. That’s why we’re seeing so many tech startups focus in on two of the Bay Area’s hottest commercial real-estate markets — San Francisco’s South of Market (SoMa) District and Silicon Valley’s Palo Alto. The prices might be high, but many tech startups are willing to pay the premium to be close to the action. Palo Alto and SoMa landlords couldn’t be happier with this tech boom. Vacancy has plummeted in these two markets. Palo Alto, which is more supply constrained than its northern counterpart, has 5% vacancy, and landlords collect as much as $70 a square foot per year ($6 per square foot per month). The South of Market district is growing faster than any other market in San Francisco, demanding rates that surpass rates in some Class A buildings in the Financial District at $40 per square foot per year on the high end. Many of my clients want to be close to the action and will pay a premium to be there, but startups can manage the expense by staying lean. Krutal Desai, founder of Sponge, which is a question and answer service for businesses including Mint.com, opened his first office on 2nd street in SoMa and will want to stay there even as rents go up. He cites the close proximity to his venture partners and fellow startup founders. While many of his employees come from the East Bay, he wanted them to experience the environment of SoMa and feed off the competition and work ethic of the other startups. There are many startups with offices in the area, which makes it easy for out-of-town investors, business partners, media and recruits to visit several companies in one trip. Also, as some startups fail or contract, the talent pool will constantly replenish. Although opportunities abound in nearby markets to South of Market and Palo Alto, technology-based companies have in large part been reticent to venture out of these areas. For instance, while Palo Alto’s vacancy hovers around 5% on a direct and sublease basis, Mountain View has a 15.9% overall vacancy and San Jose’s Central Business District has more than a 26% overall vacancy. Similarly, although less polarized, the South of Market Financial District has less vacancy than its North of Market counterpart, 10% and 15% respectively. The red-hot submarkets in SoMa, South Beach and Rincon Hill, (close to the ball park) is 12.1% overall vacancy and shrinking every quarter. Tech tenants have yet to significantly penetrate North of Market. Landlords in the Financial District, Union Square, Civic Center and Jackson Square hope to court tech tenants to their spaces with generous improvement packages and cheaper rents. I can’t speak to the exact terms of the deal, but the same space in SoMa would have cost 40% to 50% more. However, 2011 will be a big growth period in the tech sector, and the tremendous activity in South of Market and Palo Alto will begin spilling out into their neighboring markets soon. Justin Bedecarré is a real estate advisor for technology and media companies at Cushman & Wakefield, a commercial real estate firm covering the Bay Area. He has represented firms from Fortune 100 to startups in media and technology, including Broadcom, Thomson Reuters, AKQA, and Hearst Corporation, to name a few. He writes a blog on the intersection of technology and commercial real estate at www.BayAreaComRE.com. He can be reached via email at justin.bedecarre@cushwake.com or at About.me/Bedecarre, Twitter, Facebook, LinkedIn and Quora. 2010 “The Comeback Kid” and Beyond! The following quarterly update will be my last post for BayAreaComRE.com. When I founded the site with Justin almost 2 years ago, I never thought it would have become what it has. I am grateful for the experience and wouldn’t change it for anything. I’m leaving this blog in very capable, and undoubtedly more qualified hands in social media guru Justin, who I know will take the content and exposure to the next level. The next stages for me include laser-like focus on deal-making (my actual career haha! ), the growth of our Tenant Representative team and the growth of Cushman & Wakefield’s Young Leaders Group on a national scale. 2010 can only be described under one name: The Comeback Kid. The beginning of last year was categorized by companies, investors and the like, dusting off the cobwebs from 2009. By the end of 2010, article after article came out saying that the technology sector was experiencing another boom, and that commercial real estate assets in core markets, including the San Francisco Bay Area, were experiencing a frothy uptick. What can we take away from all this? The recession of yesteryear is behind us, most if not all markets have at least stabilized, and there is a return to what is being coined as the ‘new normal’. We have pivoted into a business environment in which deals take more due diligence, lending requires more scrutiny, but new values are being achieved with returns that once again feel healthy rather than a preservation of capital. We’re once again at an interesting inflection point, when a market corrects upward, leverage changes hands. Are we moving toward a more landlord friendly environment in which multiple offers and competitive situations arise between credit tenants? Will there be investors battling it out over acquisition targets only to push asset valuations to numbers that no longer make sense? That remains to be seen. What is certain is that the San Francisco Bay Area is a very technology-centric metropolis, often romanticized like in the Golden Globe winning, Academy award nominated movie ‘The Social Network’. This holds very true to real estate (Facebook is said to be closing on a new 1 Million square foot campus this quarter) and more specifically as it relates to rental rate spikes. An interesting trend we like to track is the correlation between the NASDAQ average and rental rates in the Bay Area (below San Francisco class A rates are used as an example). This will be a very telling trend to follow over the coming year. We’re confident that 2011 will be great, feel free to reach out regarding your real estate, we’re never too busy to return a call or email. 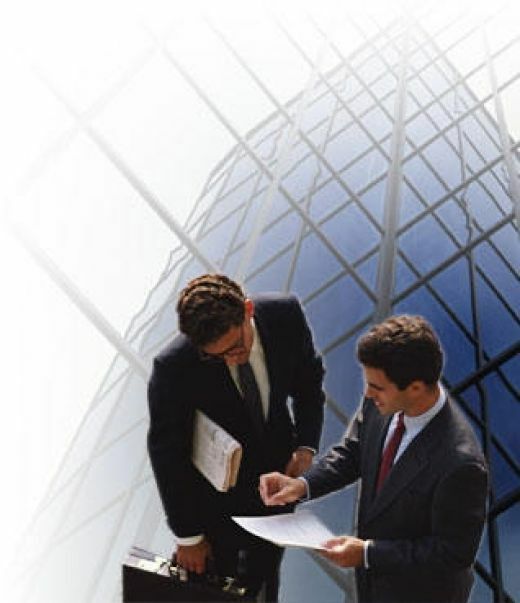 Why Use A Commercial Real Estate Broker? 9 Tips To Help You Find The Right One. Duke Long has a strong online presence in the brokerage community, shares great material freely and wrote a blog that I really liked on the Bigger Pockets Blog. This challenges the entire industry to excel, which is one of the reasons I write this blog. Please give me your thoughts on experiences with any of these issues or any others that you think a commercial real estate broker should adhere to. Thanks Duke! Check out his stuff at www.dukelong.com. Disclaimer, I don’t necessarily believe in everything he says here as things change from market to market, but it challenges the status quo. It is estimated or may be propaganda from the commercial real estate brokerage community that at least 90% of all transactions involve a commercial real estate broker. True or not if you want to invest, develop, buy or sell commercial real estate you will need or want to use a broker or a brokerage firm. Well, what kind of relationship should you have? What are the specific questions you should ask? Let’s take a look. 1.Test to see if the broker’s interests are aligned with yours by asking. The single biggest problem with the client-broker relationship is the compensation structure, it’s not in the broker’s best interest financially to get the client the best deal. To test whether a firm’s goals are aligned with yours, how seriously it takes its role, and whether you want to move forward in the relationship, ask this question:“If we were having this discussion one year from today, and we are looking back over the last three years that we have worked together, what has to have happened in our professional relationship, for us to feel happy with our progress?” Whether a firm’s goals are aligned with yours, how seriously it takes its role and whether or not you want to move forward in the relationship. Sounds simple. Note: If the broker doesn’t repeat everything you said were your objectives, or if you don’t get a satisfactory response, you’re likely not speaking with someone who’ll be the extreme advocate you deserve. 2. Make sure the firm is driven by sound experience and processes, not instinct. A good process results in confidence throughout every stage of the transaction. You can see at every step what needs to happen and how you’re going to get there. Ask for samples of the deliverables such as financial derivations and market reports the firm has used with other clients that would be similar to what you can expect to receive. Ask for a lease or purchase and sale negotiation checklist. The broker should be able to show you detailed due diligence checklists. 3. Demand teamwork, not solo performances. If the brokerage firm proposes a team, ask for a list of responsibilities and each person’s specific expertise. Ask how they select brokers who are out of their market. Do they ever refer a deal outside of their network? If not, why not? You want the best resources in the market, even if they are the competition’s brokers, architects,engineers, or project managers, not just the resources within one company or a limited network. 4. Ask how the firm measures results. What kind of indicators does it use, and what are the most wanted results and critical success factors when working with a client? You want to make sure the brokers clearly understand and respect your objectives and have a plan for reaching each one of them. An example would be: How are they going to help you determine how much space you require? What are their most important selection criteria? And how will they find and negotiate for the space that best meets your needs? Same type of criteria should work for a buy/sale. 5. Look for evidence that the brokers appreciate the details. Do they see details and getting things right as something that gets in the way,or as a comprehensive step that must be done regardless of the time it takes? Pose a question such as, “How will you meet the specific investment criteria that I have?” and evaluate the answer. Ask how they are going to give you confidence that your specific key issues will be satisfied. 6. Determine if they’re skilled negotiators. Find out what sort of training they’ve had in negotiation. How do they prepare for negotiation, what tools and techniques do they use, and for what results? Ask for an example where their negotiating resulted in a win during what they consider to have been a particularly challenging deal. 7. Get proof that they’re willing to listen. The number one complaint people have about their brokers is that they don’t listen. A great way to find out how well a brokerage firm listens is to ask if it surveys its clients. If so, how often and what were the results? After the interview, assess the time they took with you and how respectful they were of your time, your objectives, and your agenda. This is an indication of how they’ll work with you in the future. 8. Probe the team’s experience using specific questions. Are they highly trained and experienced professionals capable of leading a project through to completion? Ask questions such as, “What would your best clients say about your strengths?” Today’s transactions involve specific skills for managing and solving multifaceted real estate problems. What training do they receive outside of the typical networks (e.g., CCIM and SIOR)? Ask for examples where they’ve learned from their mistakes. Find out what they’ve negotiated that is similar to the kind and size of deal you’re about to take on. 9. Determine if the brokerage firm is willing to set its fee according to performance, not commission. A brokerage firm committed to delivering value to you should embrace the idea that performance be tied to results. Ask how they get compensated. They should be able to talk openly about the fact that their compensation structure isn’t aligned with your best interests, and discuss it without becoming defensive. If they don’t bring it up, ask them. Be clear that you don’t believe the structure aligns with your interests. Tell them you expect some portion of their fee to be put at risk until you’ve met your objectives at the end of the transaction. National brokerage firms reserve this mechanism for their large clients, so why not for the smaller ones? Companies with large portfolios have objectives (both quantifiable and soft) that a broker must meet to get paid the full fee. For example, if you want the broker to call you back right away, prepare for negotiations, or establish creative solutions to meet your objective of reducing facility costs, then base the fee on it. These were just a few tips to help with your commercial real estate investing. Do you have any tips for working with brokers or experiences you would like to pass on? Please feel free to post them up. Go ahead and comment below and let’s start the discussion! The tech industry is on fire. But I feel like you hear it here quite a bit (okay, ad nauseam), so I put together stories from several other sources that show this trend is real and here to stay. These trends will make 2011 a banner year of growth: NY Times, Wall Street Journal, San Francisco Business Times, SF Gate, and various other blogs. Enjoy! If I missed any, please add in the comments. You can literally see the digital on the walls! A buoyant technology industry drove the San Francisco leasing market to a second straight quarter of growth as tenants grabbed about a half million square feet more than they gave up. “There are pockets right now where you can’t get any space,” said Steven Ring, city leader for client solutions at Cushman & Wakefield. While Wall Street’s eyes are on Facebook Inc.’s capital-raising plans, many employees of the social-networking company are watching another decision that may have a greater day-to-day impact on their lives: a move of its headquarters. Facebook is in talks to move its headquarters to a 57-acre Silicon Valley campus formerly occupied by Sun Microsystems Inc. several miles from the social-networking company’s Palo Alto headquarters, according to people familiar with the matter. Kilroy Realty Trust is in contract to buy 250 Brannan St. for $33 million — a price that suggests that the values of brick and timber office buildings South of Market have now blown past the highs of the last boom. The $363 per square foot Kilroy has agreed to pay for the 91,000-square-foot building represents a 12 percent increase over what Miami-based developer Don Peebles sold it for in 2007. The buyer in 2007, the Broe Corp. of Colorado, quickly leased two floors to Splunk and Adobe for $40 a square foot. The two leases extend through 2013. The capitalization rate — the ratio between yearly net operating income produced by a property versus its capital cost on the acquisition — was 6.8 percent. The lower the “cap rate,” the higher the cost relative to rents. The San Francisco Business Times is reportingthat San Francisco-based microblogging darling Twitter is looking into a real estate purchase in Brisbane California, specifically the 200,000 square foot current home of Walmart.com at the Sierra Point Towers. Just a couple months ago we had heard that Twitter was down to two places in their new HQ search, both in SOMA. A move to San Mateo county would come as a surprise, especially considering how proud San Francisco is of being home to the company. As entrepreneur after entrepreneur poured into the Mission Street bar Bruno’s one Thursday night, for a tech startup party, the notion that we are trapped in a perfunctory recovery completely escaped my mind. The tech scene, driven by a plethora of startups like Flowtown, Plancast, and Awe.sm who hosted this meet up, is thriving in San Francisco’s South of Market (SoMa) district. As San Francisco’s banks and law firms continue to consolidate, fast growing firms such as Zynga are hiring hoards of engineers and salespeople and they need lots of office space. Zynga recently signed the biggest office deal in San Francisco in five years, according to the San Francisco Business Times. Zynga on Friday was putting the last touches on the biggest new office lease in San Francisco in nearly five years, finalizing a long-anticipated deal that underscores the social-gaming company’s phenomenal growth. The creator of hit games like FarmVille and Mafia Wars has agreed to lease about 270,000 square feet at the Townsend Center at Townsend and Eighth streets, The Chronicle has learned. That’s about half the size of the Transamerica Pyramid and room enough for more than 2,000 workers, leaving space for expansion at a company that’s about 1,200 strong and counting. To put the nearly 4-year-old company’s growth into perspective, it took about five years after Mark Zuckerberg started Facebook Inc. in his Harvard University dorm room to cross the 1,000-employee threshold. Google Inc. had 1,628 employees in late 2003, a little more than five years after incorporating and the first point at which it disclosed the size of its workforce. Salesforce.com has paid $278 million to buy 14 acres in San Francisco’s Mission Bay for a 2 million-square-foot headquarters, the company said Monday. The hugely successful cloud-computing company, which has projected current year revenue to almost double last year’s at nearly $1.6 billion, bought the eight vacant parcels along Third Street from Alexandria Real Estate Equities Inc. (NYSE: ARE). It could be the economy, technology, changing work culture, or a combination of the three – whatever it is, discussions of the future of office space are everywhere right now. Back in November, Southeast Venture principal Paul Plummer was interviewed for the Nashville Business Journal article, “Bigger isn’t always better,” which talked about the growing popularity of efficient office spaces. (You can download a copy of the article off our Web site). Ever since that interview, similar articles have been popping up on my radar. I decided that it might be useful to jump down the rabbit hole and see just what’s being said about this topic (co-working, shared spacing, hotelling, hot desking, alternative workplaces, etc.). The list of nine articles below (10 if you count NBJ) tracks my journey. Let me know if I’ve made an glaring omissions, and enjoy the reads. BayAreaComRE. “Co-Working is Brought to Another Level. RocketSpace Opens Doors to 50,000 Square Feet in SOMA!” Bay Area Commercial Real Estate Blog12 Jan. 2011. BayAreaComRE. “The New Landscape of Commercial Real Estate – A Discussion of the Future of Office Space.” Bay Area Commercial Real Estate Blog 11 May 2010. Cook, Bob. “Alternative Workplace Strategy’s New Best Friend: The New Lease Accounting.” Corporate Real Estate Strategy 12 July 2010..
Dolce, Natalie. “Planning for ‘The Office of Tomorrow’.” Globe St. 12 Jan. 2011. Ha, Anthony. “Founders Den classes up San Francisco’s co-working scene.”Venture Beat 11 Jan. 2011. Hamilton, Charles. “Co-working Options Showed Major Expansion in 2010.”Gigaom 6 Jan. 2011. Long, Duke. “Is This The Commercial Real Estate Future?” Ramblings of a Commercial Real Estate Broker 13 Jan. 2011. Mannes, Tanya. “To save cash, business owners opt to share offices.” Sign On San Diego 10 Jan. 2011. San Francisco is laying the ground work for a serious growth period. Profound growth. 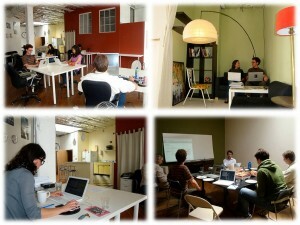 2011 is being ushered in with a significant move in the co-working industry. Analogous to the recent funding spree where Klout’s near 10MM in funding was overshadowed by 27.5MM of funding to Square, and yet only to be trumped by GroupOn’s near 1 Billion dollars in Series D funding all in the same day, the co-working spaces are growing at an alarming rate and each one is bigger than its predecessors. The Hub has doubled in size at The Chronicle Building, SOMA Central now exceeds 38,000 square feet at 153 Townsend, pariSoma just quadrupled in size to more than 10,000 square feet at 169 11th Street and the latest, RocketSpace, occupies 50,000 square feet able to hold 500 members. If you are unfamiliar with co-working, see the Quora thread here http://www.quora.com/What-is-a-coworking-space. I discussed the opening of RocketSpace with it’s founder, Duncan Logan. Edith Yeung, the great mind behind BizTechDay, already hosted an event at the new space, SF Entrepreneur China Night. Is this too big of a space? Is there a bubble in demand? What is driving this bubble? Is there going to be too much space provided? RocketSpace is positioning themselves to later stage, post-incubator, seed funded companies. RocketSpace charges $550 per month for the first desk, all-inclusive, no kitchen fee and no set-up charge. Every desk from there on becomes cheaper. For 30 people, they are charging $380 a person per month. This industry is already evolving and maturing. Co-working spaces will have to create a niche to compete. Co-working is a trend that’s here to stay. More of our clients are leasing space and sharing it with other companies, and significantly more people see the value in co-working in some capacity. “Coworking is like causal dress. It just makes a lot of sense.” People see that the benefits outweigh the risks. Duncan is no stranger to startups and leasing office space. “I was a derivative trader in London. Then set up a very successful company in 1997 and sold it in 2000. We had a perfect landlord, and we kept growing within the building.” He then joined Message Labs and sold that to Symantec for 700MM in November 2008. The co-working industry is more of a mind-set than merely the designated co-working spaces I have mentioned. The co-working industry will not replace traditional office leasing, but rather disrupt it. Companies see the benefit of working together and seek out community in their office space. This is only the start. Justin Bedecarré is a Real Estate Advisor for tenants at Cushman & Wakefield, one of the leading commercial real estate firms covering the Bay Area. Justin has represented firms from Fortune 100 to startups in media and technology, including Broadcom, Thomson Reuters, Rhapsody, Looksmart, AKQA, Hearst Corporation, and Bank of America to name a few. He can be reached via email at justin.bedecarre@cushwake.com or on Twitter, Facebook, LinkedIn and Quora. He majored in economics and political science at the University of California, Berkeley. Dave McClure of 500 Startups turned me on to the great posts by Brad Hargreaves on the startup industry, and I came across this very poignant blog post about service providers appealing to startups and founders. It resonated with me in the commercial real estate world, even though it is not one of the services he mentioned that were well positioned to capitalize on this burgeoning industry. The technology industry is having a prodigious impact on the real estate economy in the Bay Area. The startup industry has re-invigorated the Bay Area economy by adding jobs and occupying office space. There is a trend for brokers to brand themselves as tech brokers and startup brokers. This does not necessarily mean the approach has changed for everyone, but the industry is blowing up, and brokers are chasing the growing sector. Working with startups is an entirely different commercial real estate approach than the strategy and execution for an institutional company. Financial services and law firms consumed the market during the latest boom. Now, the South of Market district and Palo Alto demand more rent per square foot for office space than the Financial District. The startup industry is very dynamic, with networks formed around incubators, co-working communities, venture capital firms and angel investors. Every startup is different, but there are many common denominators among startups and their founders. They seek out office space with creative features like exposed ceilings, exposed brick and timber, open lay outs with “break out” rooms. Some are client facing and others are strictly for coders and marketers. Most are passionate about the kind of space they want, but unfamiliar with the process. I think the biggest complement I received recently was in an email from a friend and prominent founder here in San Francisco saying, “Justin is a real estate agent, who acts like a startup.” I think the key to representing startups is to think like founders do, establish a presence on the leading social networks and genuinely learn and embrace the technologies they tirelessly develop. It helps that I am a bit of a geek when it comes to social media and technology, but the most of the services out there, at least on a basic level, are free. The CRM programs, social media networks, presentation tools, applications, and cloud computing technologies being developed in the Bay Area are not only ground breaking and cool, but they have precipitously enhanced business operations and development. (Granted, Angry Birds is not the most productive technology, but most are!). 2011 will be a year of growth in the technology and startup sector, the growing number of opportunities will welcome more service providers who brand to Founders. Here is the full post by Brad. i recommend you read all his stuff here: bhargreaves.com. Say what you want to about law firms, but some of them have nailed a great branding hack: they have taken a stodgy service provider offering and “startupized” it by customizing and branding their work to appeal to founders. Of course, this isn’t just a branding task, there’s often real substance behind it — a solid startup-savvy lawyer can be one of the most critical partnership decisions a CEO makes. But the mere fact that so many first-time founders understand the value of a great law firm is pretty remarkable. 83(b) elections, for instance, are now common knowledge in the startup community, and it doesn’t take most CEOs more than five minutes to track down some publicly-released template seed funding documents. These firms aren’t simply generous — cultivating a client pool of top seed-stage startups can be a huge win down the road for a service provider when those companies get bigger and pay bigger fees. But as far as I can tell, the path that startup-friendly law firms blazed hasn’t been followed by other service providers, even ones with a similar relationship to entrepreneurs. Who is the Wilson Sonsini or Gunderson of the accounting world, for instance? There isn’t one, but funded startups still pay for outside tax and bookkeeping work. I’ve spoken with several VCs who believe that the lack of startup-savvy accounting and CFO expertise is a talent crisis only exceeded by the deficit of hackers. This is a branding problem that certain law firms have solved and other service providers haven’t. Because some firms have established thought leadership, savvy founders –even first-time founders — know what law firm they want, and they find an intro to that firm. The discovery process for (say) accountants is totally different, as there aren’t any branded, aspirational accounting firms that appeal to founders. Rather, many founders simply use a friend of a friend or family member to do their tax and accounting work or get a poorly-researched referral from another entrepreneur. This is a huge missed opportunity for everyone, especially the service providers. PEOs and Payroll Providers: I’ve never met a founder who has enjoyed working with a PEO or payroll provider. Dealing with payroll, workers’ comp, insurance, taxes, health coverage and similar headaches is a huge pain, and the PEOs and payroll providers I’ve seen have punted on every opportunity to make it easier. Rather than crafting a unique value prop for startups and charging appropriately, these firms make the mistake of treating startups as “small versions of large companies”, assume that every startup has a dozen departments, charge too little and deliver way too little. Wealth Management: I’m writing in more detail on this topic in this week’s letter.ly. But in brief, I think wealth management organizations — despite their traditional sales-heavy tactics — are missing a huge opportunity by not developing a savvier brand that can appeal to founders. Of all the wealth management groups, I figure at least one of them would acknowledge the lessons of the Bay Area finance revolution and focus their specialization on risk mitigation and alternative asset classes like P2P lending and real estate. Office Hardware: The traditional office copier leasing process is miserable for entrepreneurs — which is a shame, because there are a lot of benefits to leasing a machine rather than maintaining your own. Have an office with a mix of Macs and PCs or fewer than two years of tax returns? Good luck. All of these industries are ripe to be disrupted by savvy service providers that are willing to craft brands and offerings that appeal directly to founders. It’s easier than ever to start a company, and there are far more startups and founders today than there ever have been. So who will tackle the new market? Social Media is all about the people, and every tool and app in social media helps connect people (not the other way around). Justin also posted this on his client’s blog, AppBistro, which is the leading online market place for Facebook applications. Feel free to comment here as well! The transformation of what Tom Foremski calls the “Media Valley” that emerged from the Silicon Valley, has created myriad new business development opportunities spanning all industries, operations and strategy. The cold call is dying a fast death because, simply put, there is no need for calls to be so COLD. Clara Shih at the BizTechDay Conference in San Francisco highlighted one of the greatest strengths of Facebook and most social networks – the connection capability. Social Networks like Facebook, LinkedIn, Twitter, Quora recommend people you may want to connect with. They allow you to search for people by name, email, high school, past employer or favorite dog, and find the degrees of separation with your current contacts. If Sally knows Bob and Joe knows Bob, then Sally will more likely connect with Joe because they have a mutual contact in Bob. Social media facilitates this process more than ever before. It can feel overwhelming to generations who came before the Facebook Generation (Gen F). I feel completely natural exploring new media and growing an online presence. My dad, on the other hand, constantly asks me basic questions about how to update his status on Facebook or use an application (and my grandpa for that matter! He is 87 and has a FB profile and LinkedIn). While they are in the social media space, it takes longer to adopt and adapt. As Generation F ages and comes to power in the real world, the entire dynamic of companies and business development may be transformed. Social media has vastly different ways of reaching success than traditional business. It’s the ones who unselfishly contribute and disrupt that win. Gary Hammel nails this point. Social Media, at its core, is not about the network technology, the software nor the cloud; it’s about people. When you realize this, the applications will be much easier to navigate and use to your benefit, and your bottom-line will be reached more easily. Whether you want to reach people in the social media or technology world, provide customer service for your product or learn more about your competitors, there is an App for that! Just remember, there is always a person behind the tweet, the update or app. Check out some of the best self-promoters. They are the best because they don’t necessarily promote themselves as much as add value to others, establish a brand, and watch their ideas go viral. Most of the top business development people have extensive networks in social media grown through sweat and persistence in their online brand as well as expertise in their field. I still have a lot to learn, but when I realize that social media is a tool to connect with real people and not the other way around, my brand and online identity becomes synchronized with my offline relationships. I am a commercial real estate advisor, and I work with tenants to find office space. This is a very old-school industry, which, in my mind, makes it ripe for disruption with social media. I will not succeed by pushing a real estate agenda on my Twitter Followers, Facebook Friends or LinkedIn Connections. I want people to know what I do and that I am an expert in my industry, but sometimes I have to do this by becoming a student or expert in theirs. Social media is a tool to build relationships. Apps and networks facilitate your own branding and networking. The “Media Valley” is a great place to search, connect and develop for free or at little cost, but it’s your time, direction and identity that help you succeed. Happy New Year!!! 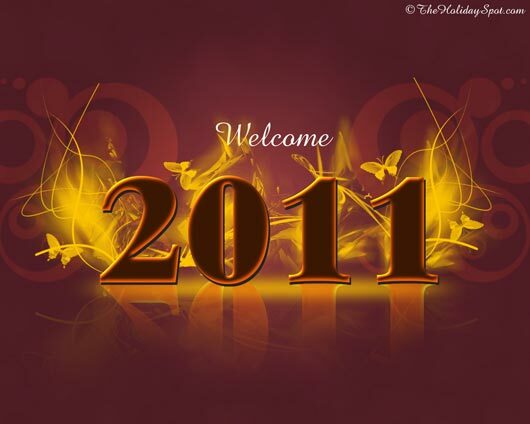 Here’s to a Great 2011!!! A year ago we embarked on a great endeavor: to disrupt the commercial real estate industry with social media. To the thousands upon thousands of people who visited and participated in our blog in our inaugural year, we are truly grateful. We have been extremely privileged to be at the intersection of technology and commercial real estate in the Bay Area, the very epicenter of it all, and we look forward to an exciting year ahead. To all our family, friends, clients and readers, Have a Great 2011! Happy New Year! Palo Alto is home for many startups and it is home to hot companies such as Facebook but competition for office space has driven up prices. Palo Alto office space now leases at comparable rates to the top floors of the Pyramid Building and the Embarcadero Centers in downtown San Francisco — two of the top marquee buildings on the West Coast. Since Palo Alto has become so expensive, start-up founders have wasted no time hopping on the Caltrain and setting up shop in SoMa. The brick-and-timber warehouse-turned-office buildings in SoMa now rent for similar rates as some Class A buildings in downtown San Francisco but it is still considerably less than Palo Alto. SoMa also benefits from the fact that many startup founders call San Francisco home; and more and more top engineers and salespeople prefer to live in the city. Employees don’t just go to the office for their job, but they live and breathe it, constantly networking, hosting events, throwing launch parties, awards shows, PR Summits and conferences and San Francisco is where that happens. Several venture firms have realized this and have built incubators that hold hundreds of entrepreneurs, from former Facebook and Twitter executives, to recent college grads, to experienced startup gurus, under one roof. 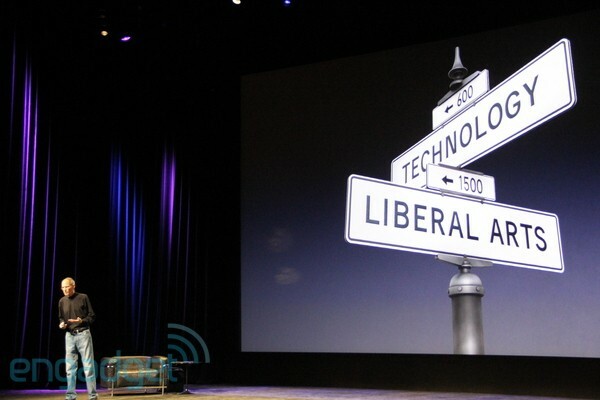 As Silicon Valley’s persona changes more to a “Media Valley,” so have its borders. Silicon Valley now seems to be reaching north and drawing a new border up Fourth Street, across Market and down the Embarcadero. While San Francisco has never been conducive to industrial production of hardware that suited Silicon Valley so well, it is primed to accommodate the proliferation of digital media startups. Just take a look at this blog post: It will be tweeted on Twitter, posted on WordPress and Posterous, ‘liked’ on Facebook, linked to on LinkedIn, shared on StumbleUpon, rated on Digg, posted on Quora, maybe even mentioned on GigaOM, Techcrunch, Mashable and VentureBeat (wishful thinking!). These all have a strong presence here in the Bay Area, and most are in San Francisco. Here is an excerpt of the letter that went out to our clients at the end of Q3 2010. If you talk to a tenant, landlord, investor, broker or the like on the current state of the market you’re going to hear about two markets. It can happen in any asset class when volatility persists and experts cannot agree. Tenants and Landlords in San Francisco, down the Peninsula, in Silicon Valley around and up through the East Bay cannot seem to put a finger on exactly where the market is headed. Headlines mention outlier markets like Downtown Palo Alto office product demanding an average of $4.00 per square foot and up on a monthly basis (excluding expenses) with vacancy at historical lows below 5%. Conversely parts of the Hayward industrial product market demand $0.55 per square foot on a monthly basis (excluding expenses) with vacancy soaring above 20%. With stories like these it’s hard to see where the middle ground is, and what the market is made of. The facts remain, however; the San Francisco Bay Area continues to be a leader at the forefront of the U.S. economic recovery, and with so much intellectual capital based here, it’s truly a market leader. We track a portfolio of 43 of the largest and brightest publicly traded companies headquartered in the Bay Area and it’s no surprise that this group outpaced the S&P 500 by more than 29% since the beginning of 2010. On the private side, the oil of the Bay Area’s growth engine – venture capital – has grown its largest amount since 2008 in the last two quarters. This is great news for start-ups in the technology world who have been stealing the majority of headlines these days and fueling a lot of the leasing activity around the Bay Area. The largest counter-trend in the Bay Area is the return of institutional investments as well as foreign capital. As debt opportunities dried up in this last downturn with the disappearance of the traditional financing mechanisms, those sitting on the sidelines with cash were best positioned to acquire world-class properties at near-bottom pricing albeit with thin to flat return expectations. The firming up of pricing in core markets more recently (due to increased sales volume and general improvement of the economy) has allowed investors to more accurately benchmark potential acquisitions. The capital markets are experiencing a “barbell effect”, however, which echoes the trend of the bifurcated leasing market. On one side of the barbell you have best in class assets that receive the most attention and an appreciation in pricing, and on the other side you have the more lackluster product getting unnecessarily punished due to the general economy. In between that, there’s little to no transaction volume. The Bay Area economy is continually changing and evolving and this last quarter was no exception. As the unemployment rate for California hovers around 12% currently and midterm elections are right around the corner (at the time of writing), it’s no secret that more change is on the horizon. The commercial real estate market is no different, but it’s now more important than ever to ignore the headlines and pay attention to the fundamentals. What’s this asset truly worth? Why are we renewing a lease at this location? Does relocation make sense for our balance sheet right now? Where are our employees located as it relates to our real estate and why? Answers to these questions should be carefully crafted, now more than ever. Below you can find links to each respective market in the Bay Area. San Francisco has a rich history of advertising that has defined Jackson Square for decades, but as the advertising industry adjusts to the changing landscape of marketing, so have their offices. From start-ups to the big timers, SoMa and the Financial District house more ad firms than the once bustling Jackson Square. The old school is meeting the new school in advertising, and the dynamic of the industry is emblematic of the office space they occupy. The traditional firms are being met with techy firms like AKQA, Mekanism, Pereira & O’Dell who call SoMA home. The ‘downtowners’ like Eleven, Duncan Channon, Godfrey Q & Partners, Goodby Silverstein & Partners, AgencyTwoFifteen, to name a few, like to be near the action but still seek out the creative vibe in their office space. While there are some firms that are growing in Jackson Square and North Waterfront, like Heat and Dojo, the majority of new ad men have gravitated South. The dynamic of advertising firms is changing to align with consumers, and consumers are shifting to the Internet, social media and mobile. The Don Drapers and the old school ad firms have long ago gone extinct, and in their replacement the new ad men and women can be found South of Market amongst the tech crowd. AKQA has been growing their headquarters on King Street for almost as long as the ball park has been here. Their CEO says they are more like a software developer with engineers working into the late hours of the night. Their space includes exposed ceilings, a mural of San Francisco, game consoles (to test the latest Xbox game they marketed, of course) and the senior executives work in modest sized offices. “The agency also has its own bar, the BarrelHouse, where it hosts events for clients and charitable causes (over 50 in the last two years alone). Pereira explained the bar is meant “to bring something back to the community that needed some cheering in the middle of this recession.” The agency’s management approach for their on-site saloon is rather creative: “The BarrelHouse events cost us nothing – we donate the space, our clients donate the drinks, the bands play to raise money for a charity they chose, our guests are just guests, no one pays anything, but we raise quite a lot of money.” Online All Stars 2010: PJ Pereira. An entirely new breed of advertising has emerged. Companies now wheel and deal with banner ads on ad networks and collect information about consumers from social media and geo-location check-ins. Advertising campaigns are designed to go viral on YouTube, not “The Tube.” A more technical approach to advertising draws techy employees and calls for techy office space, which is why you see RapLeaf on Mission street and Evolution Bureau in SoMa. On the other end of the advertising spectrum (and across Market Street) you take a stroll through Jackson Square and North Waterfront, you will notice some of the same cast of characters. Chuck McBride (creative mind behind Got Milk commercials and most recently Ray Ban) offices in the storied brick buildings on the North Waterfront along with Weiden + Kennedy, Hal Riney along with the many marketing and advertising firms populating the surrounding areas of Levis Plaza. Our point isn’t that one side is wrong and other side is right. Rather, there is a fragmentation of the industry and the decline of the agencies that traditionally led SF advertising such as FCB and J Walter Thompson is highlighted by the emergence of the modern advertising firms and their new office locations. San Francisco is still a advertising-rich city of great ad people, and they are fitting in quite nicely in their new hoods. The startup scene in San Francisco in this latest cycle is starting to develop layers, as new up-and-coming companies are building off the successes of larger startups like Twitter. This NY Times article gave great examples of companies leasing space in the Twitter building at 795 Folsom or close to it, if for nothing else than to catch some of their positive mojo, but more so to be a part of a community. A few companies have been able to set up meetings and build relationships with top executives. Startups are increasingly having opening parties, meetups and neighborhood drinkups at their offices. One of the top reasons more startups are moving to San Francisco is many of the young executives live here and enjoy the city. Cheers to Klout, which helps marketers reach influential people on Twitter; Storify, a service for building online articles out of media like Twitter posts, Liquid Traffic, an online marketing company, and Huddle, which makes workplace collaboration software in cloud computing, for taking the initiative and recognizing the trends. When Joe Fernandez, a tech entrepreneur, moved his start-up here last spring, a big goal, he said, was “to be best friends with the Twitter guys.” His theory was that by hanging around with executives at one of the hottest tech companies today, some of the magic could rub off. Unless you’ve been hiding under a rock for the last two months, you are well aware that today is the opening game of the 2010 World Series. It’s hard to say how much the World Series has and will benefit the city of San Francisco, and the surrounding Bay Area. Some analysts are saying that the additional revenue to the city will top $400M over the next year due to additional tourism, stimulation to local restaurants, bars and shops, and hotel bookings. The more exciting element to the World Series is the energy it has brought to the people of San Francisco. This years’ team is full of misfits, outcasts and underdogs, not unlike the management of the team. Brian Sabean has slowly built this team, not on the shoulders of a superstar bat, but on the careful piecing together of a solid “team-centric” roster. From NLCS MVP Cody “Smiley” Ross, to Pat “The Bat” Burrell, to Buster Posey and crazy Brian “Weezy” Wilson, the lineup is truly a testament to manufactured and patient team development. And to think, the development almost didn’t happen. “The Giants asked voters four times for public funds to help build a new park, but failed each time. A 1989 initiative looked like a sure thing, but the Loma Prieta earthquake hit three weeks before the November election and ruined any chance of passage. At that point the Giants, under the direction of an ownership group headed by Peter Magowan, decided to finance the park by themselves. (SF Chronicle)” Now, on the international stage as one of the most beautiful sports arenas in the world, San Franciscans can have pride that their hidden gem will be appreciated by millions of spectators over the next week and half and beyond. Nearly a third of all new housing in San Francisco from 2000 to 2010 has come from the area surrounding the ballpark, and once unwalkable and dangerous areas of SoMa like South Park and Mission Bay are now bustling business and commerce centers. The World Series means a lot of things to San Francisco, but most of all, it solidifies this town as an international force capable of overcoming insurmountable challenges. It’s days like these that help us appreciate being a part of such an amazing community in the Bay Area. We wish the Giants the best of luck this World Series! The longer you stay in the business of real estate, and most service industries, the more you realize relationships are extremely important. Today, Cushman & Wakefield announced the acquisition of a New Global Head of Capital Markets (fancy way of saying buying, selling and financing real estate) Gregory S. Vorwaller, a defection from CB Richard Ellis. Greg, based in Chicago, has a strong background in investment advisory serving as COO of CBRE’s Capital Market’s team and President of the Property Investments Group. Prior to CB Richard Ellis, where he spent 17 years, Greg was a Vice President with The First National Bank of Chicago and prior The Balcor Company. He is also well known in the pension fund industry, having worked with Institutional Property Consultants and having founded the real estate consulting practice of William M. Mercer’s Asset Planning Group. Over the course of his career he has been responsible for more than $6 billion in property sales, debt financings, and sale/leaseback financings. Why do we mention this all the way out in the Bay Area? For the simple reason that, with new talent and personalities comes new opportunities for business development. The Cushman & Wakefield brand is a strong one (third largest real estate brokerage company in the world), with deep roots in New York and across the country. This stronghold in the second largest office market in the country, and the largest industrial market in the country will hopefully have an immediate impact and we’re all excited to welcome Greg.